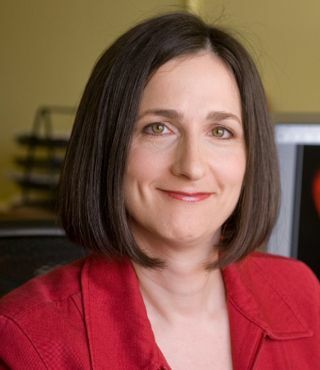 Exoplanet expert Sara Seager of the Massachusetts Institute of Technology. MIT astrophysicist Sara Seager has won a $625,000 "genius grant," the MacArthur Foundation announced today (Sept. 25). Seager is one of 24 awardees, who represent a diverse group of scientists, artists, writers, academics and activists. Seager, 42, was selected for her groundbreaking exoplanet research, which has led to ever-better models of the atmospheres and interiors of alien worlds. "Adapting the principles of existing planetary science to the study of exoplanets (planets outside the solar system), she is quickly advancing a subfield initially viewed with skepticism by the scientific community," MacArthur Foundation officials wrote in Seager's award announcement. The MacArthur grantees can do whatever they wish with the $625,000, which will be paid out over five years. Seager said the cash will help her make ends meet. "All of the money will go towards childcare, household help and quality of life on the home front," Seager said in a video. "And by doing that, as a single mother, this will actually enable me to still do my job and excel at my job." You can read more about the winners and the "genius grant" program at the MacArthur Foundation website.